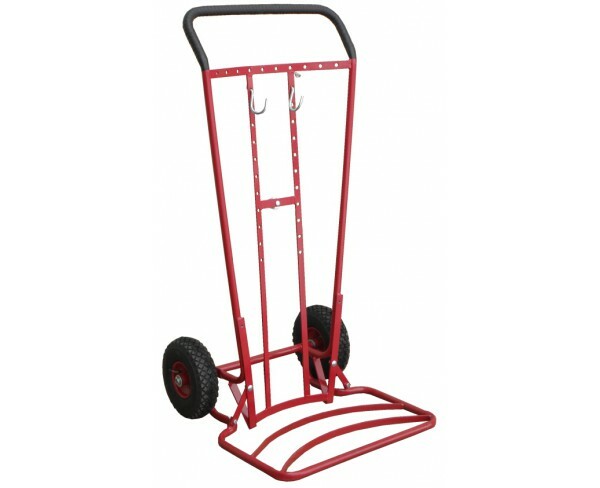 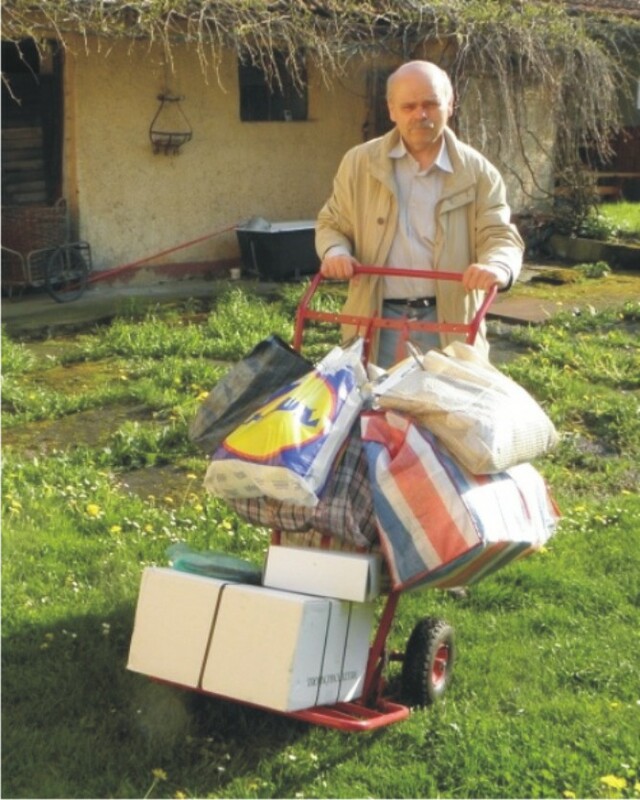 Hand truck is very useful for moving of bins, wood in basket, ashes in barrel, crates with fruit, shopping bags etc. 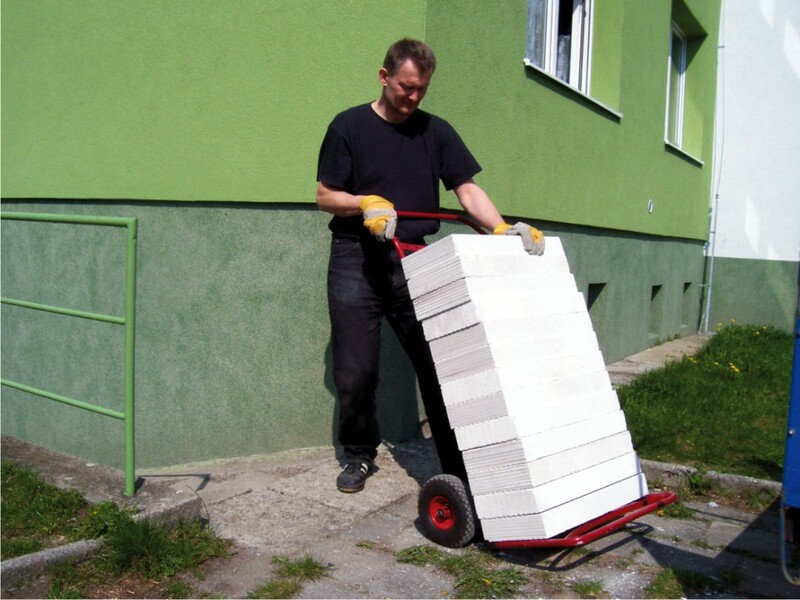 The hand truck is thanks to big air-pressured wheels easily controllable not only on the pavements and roads but also on the lawns, unpaved areas and while crossing the stairs and uneven terrain too. 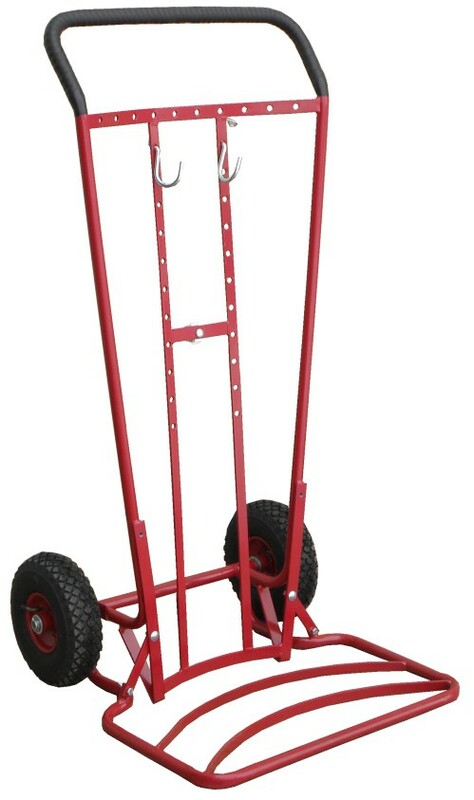 There are several holes on the frame in different heights for hooks to hang the load in required position. 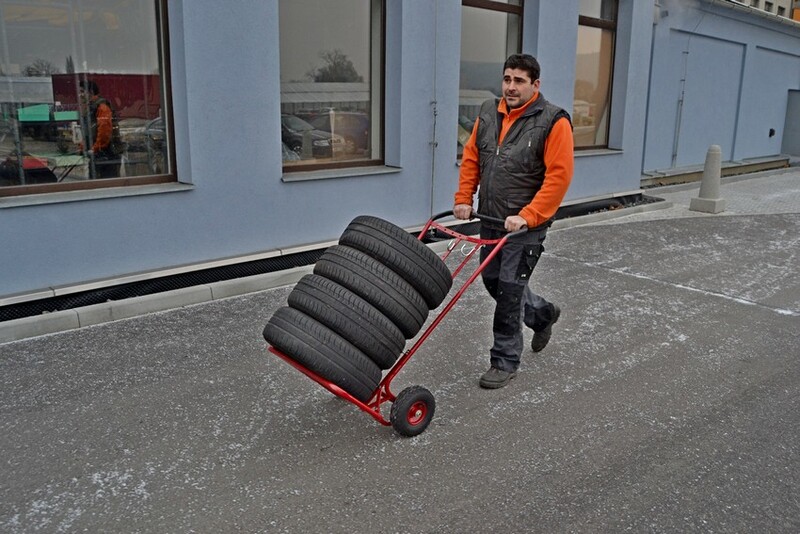 You can also simply attach a blade for snow removal in winter. 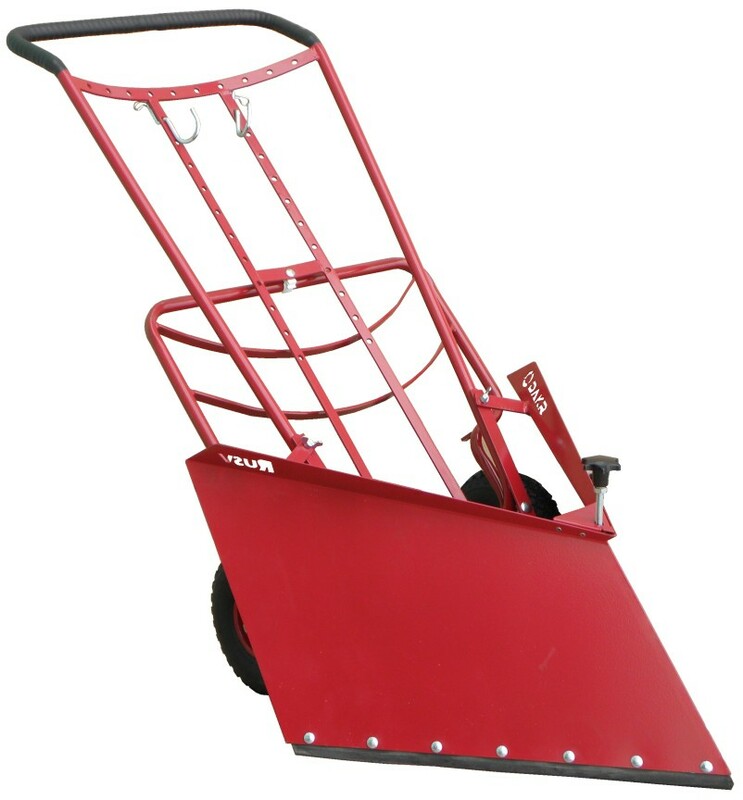 To adjust the blade into required height above the ground there is a adjustable leading wheel.